Carpet stain protection is armor that protects your carpet against ever day foot traffic and staining. Carpet protector is a polymer that prevents penetration of substances that can cause permanent damage. In most cases carpet is manufactured with the coating already constructed into it. The benefits of carpet protector is that if you have a light colored carpet, and you accidentally spill a drink of color, the dye site blockers in the polymers will repel the color from absorbing into the carpet fiber. This will make it easy to remove with a cleaning method of some sort. Another benefit of carpet protector is that it usually will come with some sort of warranty from the manufacturer as long as cleaning guidelines are followed. If an accident occurs and the stain is unable to be removed, the manufacturer will be responsible in handling your carpet concerns. Keep in mind that not following the manufacturer’s cleaning guidelines may void your warranty. Always discuss the terms of your carpet protection warranty at the time of purchase. Carpet protectant is absolutely necessary if you have children, pets, and high traffic. Protecting your investment will save you money in the long run. 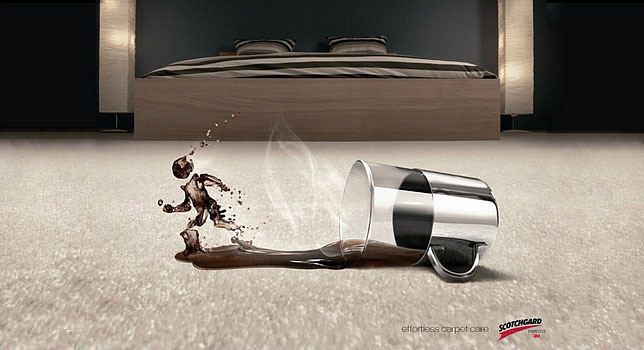 Just like everything else, even the polymers in your carpet protectant do wear off over time. Calling a professional carpet cleaner is your only option for protectant restoration. Doing it yourself, in most cases will void the warranty. Re-applying your carpet protector annually is what’s recommended by professionals for longevity in your carpet investment and maintaining a clean carpet. For professional re-application of your carpet stain protector, contact us at 951-787-8787, serving Riverside, CA and surrounding areas.